Tasked with building and sharing knowledge on how to improve management of the world’s resources, UNEP’s International Resource Panel (IRP) turns its attention to the world trading system and its implications for global resource efficiency. 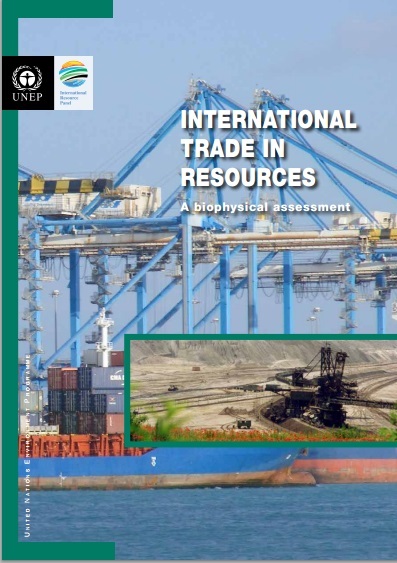 In this report entitled ‘‘International Trade in Resources: A biophysical assessment’’, the IRP examines how efficient the current system of world trade is in distributing resources from the geographical locations of supply to the locations of demand. By examining trade from a biophysical (versus an economic) viewpoint, the authors of the report seek to assess whether or not trade allows commodities to be obtained from countries where their production requires fewer resources and generates a smaller amount of wastes and emissions.